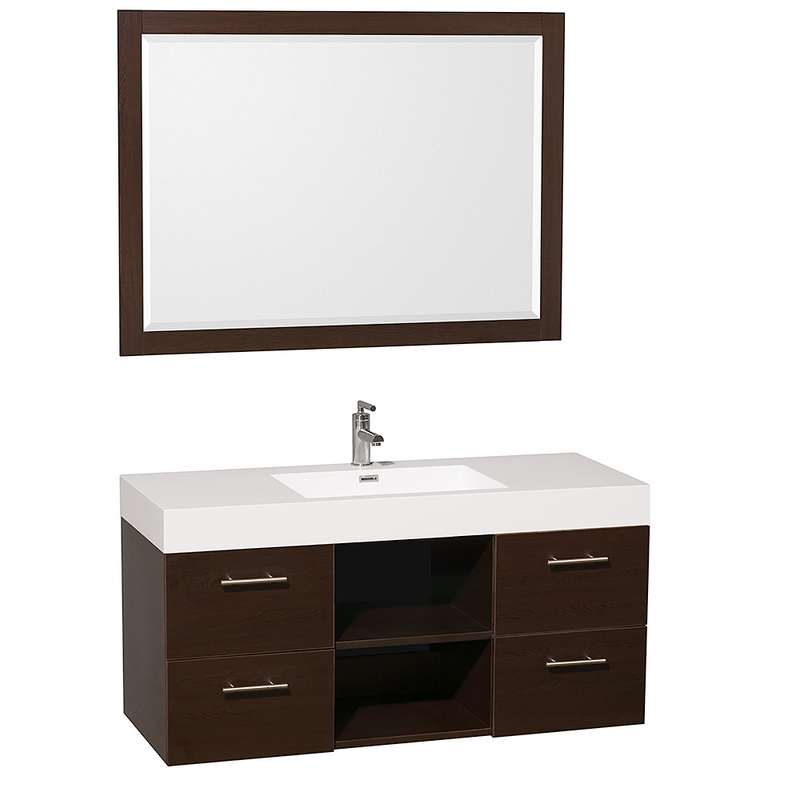 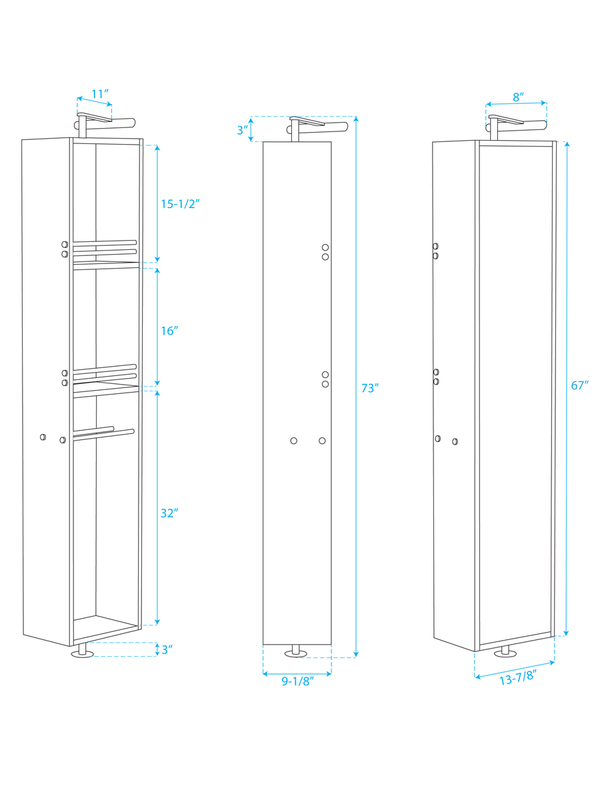 The 48" Stephanie Single Vanity will transform the look of your bathroom with its modern beauty. 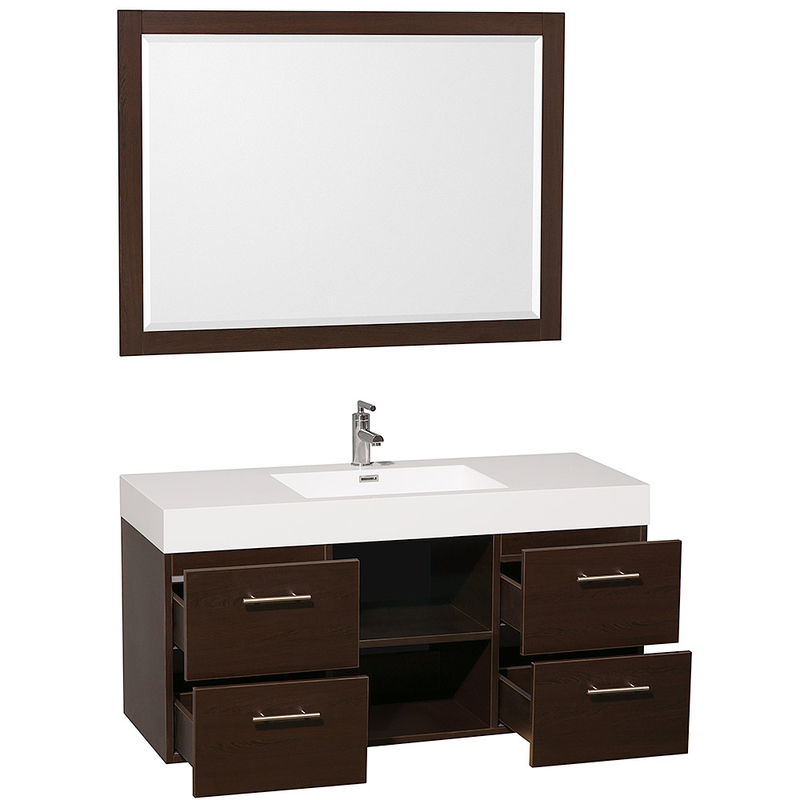 Featuring a cabinet finished in an Espresso wood grain, this vanity boasts four fully-functional drawers with soft-closing slides for added durability and two open shelves that make great homes for clean towels. 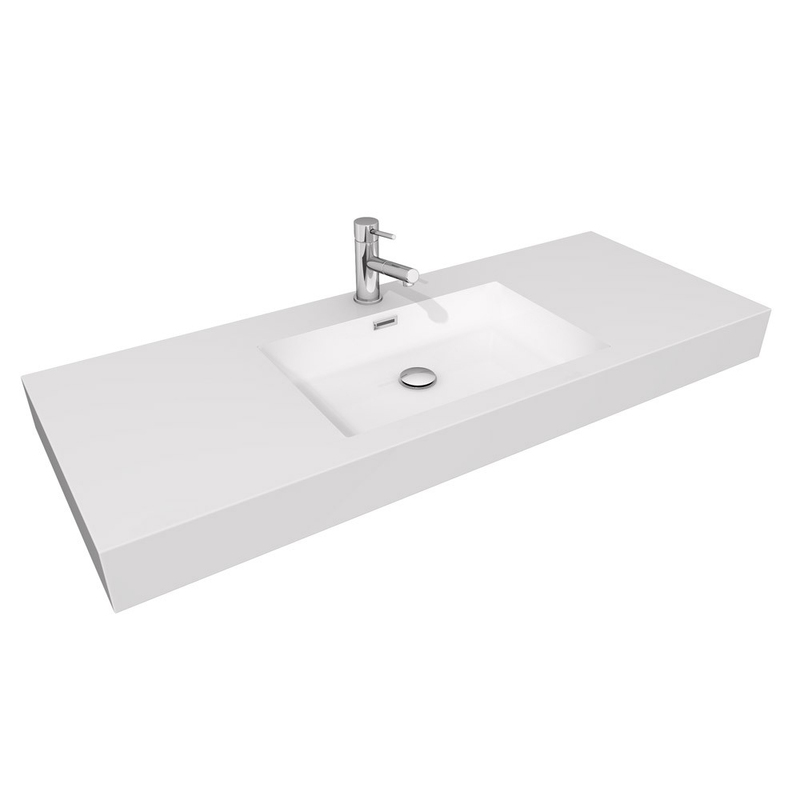 Its top is an integrated sink top made of acrylic resin and comes pre-drilled with a single faucet hole. 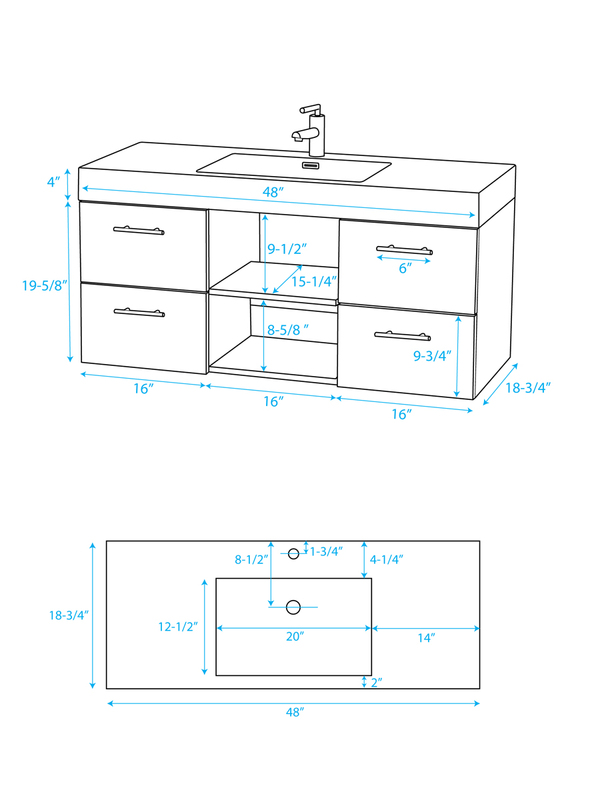 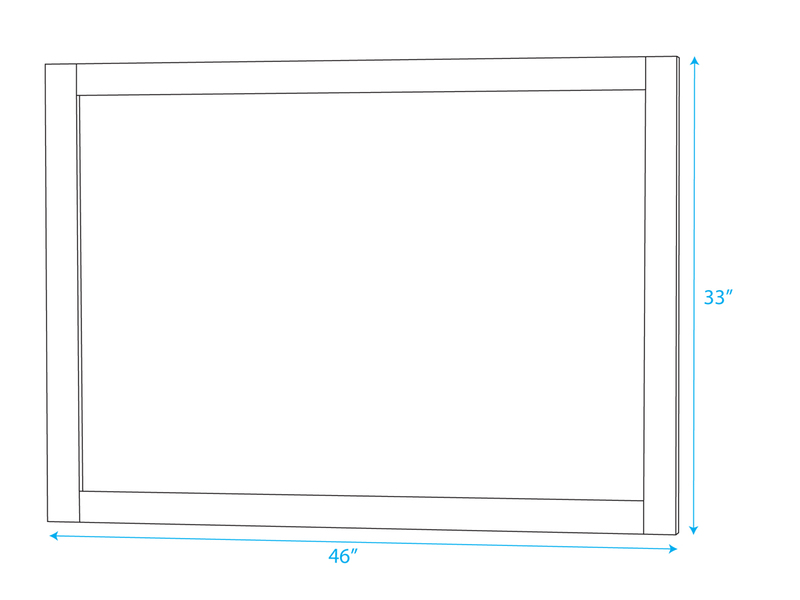 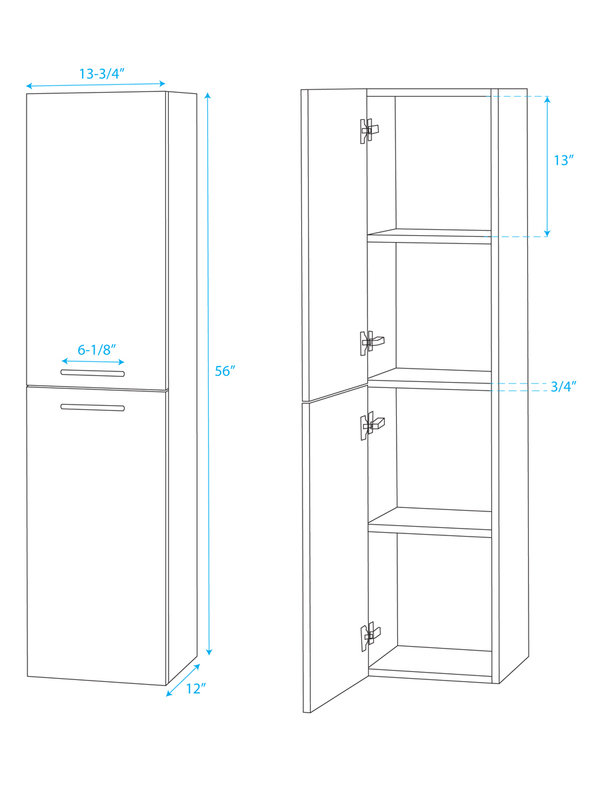 A matching mirror is included and side cabinet options are also available in the drop-down menu.